For those in the multifamily industry, the idea of going paperless not only means a chance to reduce overall expenses, but once established, can mean both time saved and a boost in the overall quality of work produced. From clearing of the office clutter to the fact that going paperless can be a great marketing message, we have some great tips for promoting a paper-free zone in your work-zone. Why should management companies eliminate paper leases? When it comes to the business of leasing, going paperless can present a whole new series of benefits. One of the foremost benefits is the ability to execute leases anywhere in the field. Since you’re digitally transmitting everything, only a wireless internet connection and connectable device are needed to present, sign, and distribute those documents to the tenants email and a virtual office file that your staff shares access to. After reports surfaced that the U.S. Department of Veterans Affairs was having logistical problems processing claims due to the literal piles of paperwork they had accumulated, it became apparent to the rest of the world who hadn’t begun the process of going paperless, that it was time to get serious. Agents will spend less time and money traveling and even less energy consuming detailed audits of all the properties in your portfolio when all the documents are electronically accessible. Industry professionals estimate that up to 40% of the time in leasing offices is spent dealing with paper to make copies, set up files, to send faxes, or simply just searching through existing files to find need documents. In the long run, it’s time that could be spent being proactive and accomplishing tasks that affect the bottom-line. How can management companies get e-signatures on their leases when they are paperless? If you’re just looking to store and share documents online with your Users/Agents, then Google Docs is a simple, no-cost solution. If you need to take it a step further, Adobe EchoSign is a free e-signature app that allows you to both sign documents digitally and send those documents via email or Google Docs/Drive. If you are looking to have that same power of Drive/Docs while also adding the ability to capture actual legal signatures on your leasing documents in an all-in-one environment, however, then you’ll need to enlist the services of a company like DocuSign, Lease Runner, SyndicIT Services, or On-Site. DocuSign has been endorsed by NAR as their official electronic signature provider and boasts that over 115,000 real estate professionals are currently using the program to manage everything from residential and commercial real estate, property management, mortgage, escrow and more. LeaseRunner, like On-Site, is a 100% paperless, time saving application that maintains editable lease documents that comply with all 50 states and a variety of property types. The documents have the ability to capture electronic signatures and store everything digitally. What do the statistics say about companies who go paperless? When you look at the sheer impact the paper and ink industry has on the environment, paper consumption in America has generated approximately 85 million tons of paper waste. The pulp and paper industry in the United States is actually the 2nd largest consumer of energy. According to the statistics gathered by GoPaperless.com, the average office worker prints around 10,000 pages per year. That’s equivalent to two-and-a-half fully grown trees and 56 gallons of oil per office worker, per year. By going paperless, the study shows that the average multifamily real estate office can see benefits that extend into not only a reduction in the business costs associated with paper, printers, and ink and toner cartridges, but a reduction in physical filing cabinets and the time it takes associates to search for and retrieve documents. Going paperless can also mean that a business can begin to employ services in a mobile environment that will promote a professional image and a more customer service oriented way of conducting day-to-day business. The protocols set in place by a paperless office management system have been shown to have the added benefits of providing the company a secure way of backing up all documents, granting better access to real time updates and document delivery, as well as creating a marketing message that lets the business promote the fact that it is environmentally friendly. As far as managing statements and paying bills goes, the more you do online the less time and energy you’ll spend managing this part of your business. When it comes to going paperless, it’s a trend that is not going away and one that makes the kind of good “sense” that can be seen in your bottom-line. 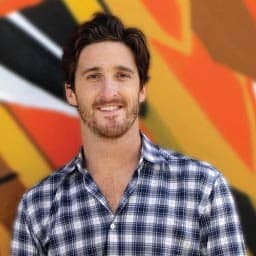 Justin Alanis is the Co-Founder and CEO of Rentlytics Inc. Rentlytics is based in San Francisco, CA providing deep analytics for apartment property owners and managers. View and analyze property operational and financial metrics more effectively and identify issues.